We are here to make sure that all projects ​are up to our highest standards and complete satisfaction. We are committed to recruiting, developing and retaining exceptional people. We strive to provide a great place t​o work and an environment that inspires excellence. Surf City Graphic's employees, whether they work in operations or administration, hold customer service as one of their highest priorities. Our goal is to provide our customers with the most creative, eye-catching and professional graphics at an affordable price. Our graphic and production team strives to make sure every customer is satisfied with our design and print services from concept to completion. We care about every customer. Whether you have a big job or a small job, we give you the attention and quality you need. We will do everything within our power to get it done for you on time, cost effectively, with exceeding quality, aiming above and beyond your expectations. We adhere to our core values in our relationships with our customers and each other. We are committed to honesty in all that we do. strengthen them through truth and fairness. to the success of our company. and take personal ownership for the quality of our work. We recognize and celebrate success. We focus on performance and accountability. Our guarantee that we have the amplitude and extent of experience to deliver an elegant graphic solution on time and within your budget. We have the aptitude and experience to deliver an elegant graphic solution on time and within budget. We pledge to satisfy all your graphic needs and help your business thrive. No matter how small or big the job, we can accommodate all your graphic needs. 100% Satisfaction Guaranteed! 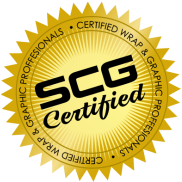 3M recognizes Surf City Graphics as accredited professional graphics installers. Being a 3M Preferred Graphics Installer demonstrates our commitment to providing you with the best graphics installation available. 3M - a worldwide leader in graphics materials and installation training. In our continued commitment to the environment, SCG takes every opportunity to offer customers environmentally conscious and friendly solutions by expanding our recycled paper selection while still retaining a high degree of quality. The future of our environment depends on the choices we make today. We are thrilled to be able to provide you the choice to use recycled papers and other green products. We encourage you to take advantage of these Eco-conscious choices. Together we can make a difference. Our graphics are printed on our HP Latex large format digital printer, in house, providing the highest quality print and resolution (at true 1200 dpi). HP is designing end-to-end sustainability into large-format printing. 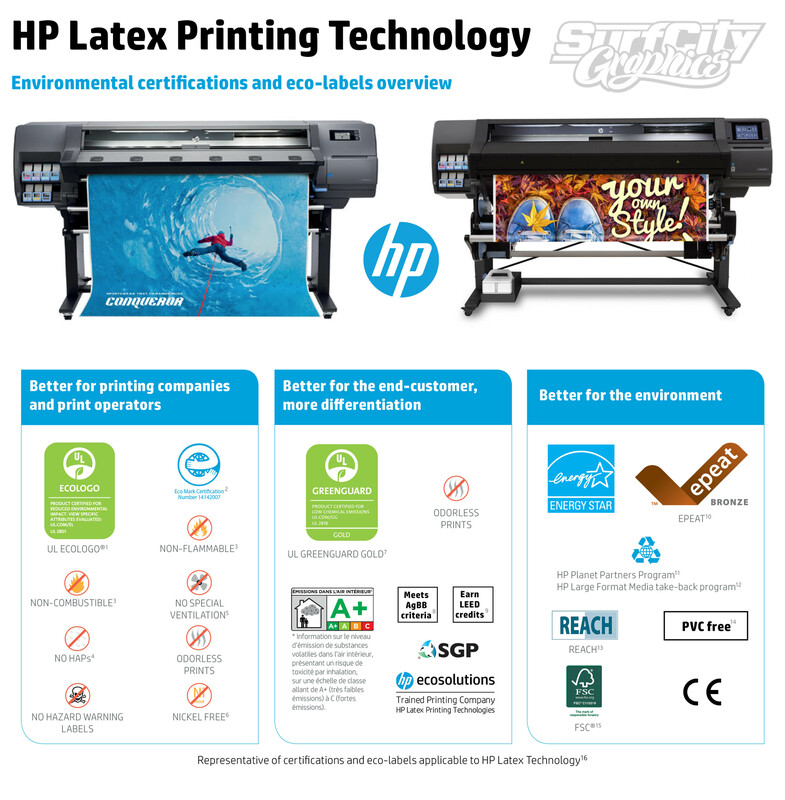 The HP Latex 315 Printer is EPEAT Bronze registered and Green Guard Gold Certified—a designation for reduced environmental impact. Don’t just take it from us. Click here to view testimonials from our customers.